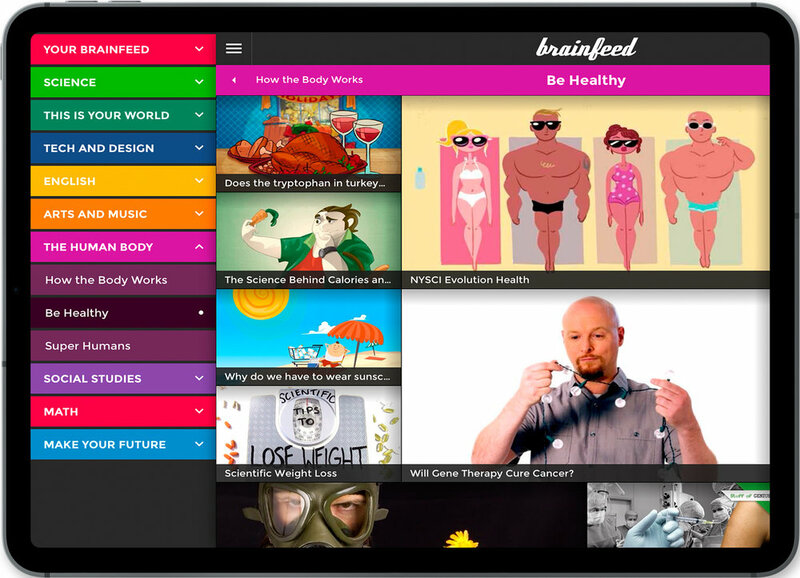 Brainfeed is an educational iPad app made for kids 7-years and older. Behind the scenes a team sifts through the massive amounts of video available on the web and curates the very best of educational video that is both age-appropriate and curriculum based. The result is content that engages kids and is both animation rich and of visual high-quality. The best of the web, in a kid-friendly package. We were responsible for developing the app as well as the Ruby-based backend system. Design was done by the wonderful Anne-Sophie Leens.